In the last few months, there’s been significant buzz about video innovations such as UHD 4K, Virtual Reality and live streaming. It sounds promising, but for now the reality is more daunting than many would like to admit. The steady march of technology continues to rest on streaming across a network that struggles under the load of our current media environment. For most people today, live-streaming is either a choppy, fragmented HD experience, or a stable, but low quality experience. If the networks can’t handle the congestion now, imagine the strain that streaming VR content will create. In order to deliver an immersive experience, not only does it require stitching multiple angles of footage together into 360 degrees, but each fragment ideally has to be in 4K for the most vivid picture. This leaves you with files several times larger than a typical 4K movie. It’s only going to become a bigger problem when these new innovations become standard and more users adopt a “streaming-only” lifestyle. Streaming is the fly in the cord cutter ointment – it hampers everyone’s viewing experiences in one way or another. While we love to blame the Internet Service Provider (ISP), cable/telco carrier, or service like Netflix, Amazon, YouTube (and they sure love to blame each other), it is possible to achieve a better viewing experience at home despite challenges in various parts of the content ecosystem. 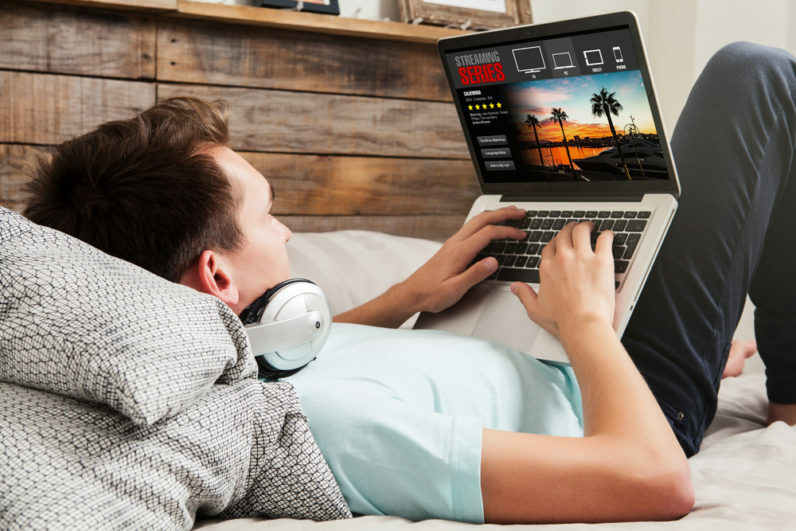 Here are some easy fixes to improve in-home streaming so you can finally get back to your uninterrupted binge watching. There’s only so much your internet connection can do. Yet, we have many devices, and tons of internet traffic going in and out of our homes, meaning we rarely end up with the optimal connection we pay for. With the IoT, this is only going to become more problematic and lead to more congestion for the network. Whether you’re streaming on video game consoles, PCs, televisions, or mobile devices, make sure to coordinate with your family or roommates which devices are connected to the internet. Even if a gadget isn’t being used at the moment, connecting to the Wi-Fi is enough to cross the signals and slow down the connection. This is one of the more common controllable streaming issues found in most multi-resident homes and apartments. A wired connection is always a better option when given the choice, so combine wired and wireless networks in your setup as much as possible. Make sure the location of the router corresponds with the entertainment centers in your home or apartment to make the best possible use of fixed Ethernet access to your devices. For high-quality streaming like HD or UHD 4K, always try to stick with your Ethernet cable because routers give priority to hard-line connections and create less interference for other devices connected via Wi-Fi. While it’s possible to watch steady 4K on some of the fastest Wi-Fi connections, it is not recommended. For mobile devices, use 5GHz Wi-Fi networking when available. Most routers run on 2.4GHz frequency but allow the option to set up a 5GHz network. Also, it’s no longer just about receiving the best picture quality when making entertainment purchasing decisions. It’s important to select devices (PC, mobile, TV) that have better computing capabilities, stronger antennas, and have integrated technologies that enable better quality of service (QoS) capabilities for streaming. While your device might want to select HD over SD to get you the best resolution possible, feel free to manually shift to standard definition if it means a smoother streaming experience. Also, be sure to get the right quality format for the right device (e.g. 4K compatibility for your TV) and check that your current internet speeds are up to the task by performing a speed test. UHD 4K requires a minimum of 25Mbps. Many consumers purchase 4K TVs without the ability to even enjoy the programming that exists for it. To increase the odds of being able to watch smooth HD, consumers should pay attention to when they are viewing content. Unlike traditional cable, the amount of users watching a show or movie directly affects the kind of stream the individual receives. While the user obviously can’t control how many others are watching the content, electing to watch Video on Demand (VOD) content midday or late at night when there is less traffic can make a significant difference to the viewing experience. Know where to place your router in order to avoid the blind-spots – especially if you aren’t able to prioritize entertainment centers around an ethernet jack as mentioned earlier. A blind spot can typically be discovered when the Wi-Fi signal indicator on your device is showing only one or two lines. In such weak signal areas, you can use access points that extend the coverage of the wired network in wireless space, or Wi-Fi repeater/extender that strengthens the signal of your existing router. Such devices can be purchased at any electronics store, and by placing them in an area where the Wi-Fi signal is still strong enough, you can extend the scope of the Wi-Fi network to the areas of the blind spots. To avoid interferences, you can also set each access point to a different frequency channel. If you’re someone who bought the best cable package when it was your preferred viewing experience, don’t skimp on your internet package now that you stream more often. It’s effectively the same thing. Subscribe to a better internet service plan to have the highest quality possible at your budget. According to Akamai’s “Q3 2015 State of the Internet Report” only 24 percent of the US households have above 15Mbps, which is the bare minimum requirement for HD set by the FCC (25 Mbps for 4K UHD). Even if you purchase a 4K TV and buy the Netflix premium subscription, without a more expensive high speed internet connection, you won’t yield the benefits. Which means that to enjoy 4K movie your internet subscription should be at least 50Mbps, because in reality you’re rarely getting the actual bandwidth you’ve subscribed for.